At a recent national gathering of pastoral leaders in the Evangelical Lutheran Deaf Association (ELDA), the discussion turned to the biblical story of the prodigal son. The deaf leaders among us shared their shared identification with the son who stayed home, did everything that was asked of him, and then watched incredulously as his undeserving brother walked away with both blessing and bounty. My colleagues recounted familiar stories of deaf people being denied access to family heirlooms and inheritances, but also something more precious than possessions: communication. One man found out his sister had died — two years previously — when he stumbled upon her grave at the family cemetery. He had long been left out of his family’s communication loop, and now he was excluded again, even regarding his sister’s death. When the conversation about access for people with disabilities begins with expense and convenience, it starts at the wrong place. Sadly, the church has generally perpetuated such exclusion. My own deaf sister sat through 18 years of church services, Sunday school classes, and church camps without an interpreter … and any idea about what was going on around her. Like many deaf people, when she turned 18, she bade the church farewell and never looked back. Like the older brother in the parable, she dutifully put in her church time, but clearly the Good News bounty went to those who could hear it and had access to it. What does accessibility mean for a congregation? As the pastor of a deaf church, I regularly hear these stories of deaf people not being offered access to the church. I have no doubt that similar experiences are shared by those who are blind, who use wheelchairs, who live with cognitive or emotional struggles — in short, anyone who is not “able-bodied” as our broader culture would define that, or anyone whose value to the larger faith community seems uncertain. Let’s be honest about this matter of providing access: It can be both inconvenient and expensive. Braille-print materials, sign language interpreters, elevators — none of it is cheap or particularly easy to accommodate. But when the conversation about access begins with expense and convenience, it starts at the wrong place. A person who is disabled comes through the door wearing a price tag: What is it going to cost our congregation — in both financial and practical terms — to include her? What if he later wants to serve on committees or the church council, thus requiring further accommodations? Where does our obligation begin and end? Is it any wonder that many people, like my sister, give up and leave in the middle of the conversation? Diva Communications, Inc., recently produced an interfaith documentary, A Place for All: Faith and Community for Persons with Disabilities. (For more information, visit www.divacommunications.com/aplace). Among the individuals and programs profiled are the Rev. Beth Lockard, the deaf pastor of Christ the King Lutheran Church (ELCA) in Pennsylvania, and the Definitely Abled Youth Leadership Event (DAYLE), an ELCA youth program. The film challenges common myths about the inconveniences and burdens of becoming a truly welcoming place for all people, regardless of physical realities. It also reminds us that, according to the Centers for Disease Control, one out of five people has at least one disability now, and the other four face almost certain disability of some sort as we age. This year marks the 20th anniversary of the Americans with Disabilities Act (ADA), a federal law which is credited with improving access to public institutions for those who need it. Churches are generally excluded from the mandates of the ADA, but one could certainly argue that most church mission statements — which usually profess a commitment to sharing the Good News of Jesus Christ with all people — ethically compel them to make access a missional and budgetary priority. Currently the ELCA is writing a social statement on human disabilities. I have seen the draft and suspect it will require some rewriting before it satisfies the broader disability community. But the statement is an important step toward helping the church cast off its history of exclusion and, like the father in the biblical story, truly throw open the door of God’s enormous welcome to all people. 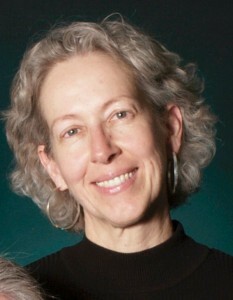 Susan Masters is pastor of Bread of Life Deaf Lutheran Church (ELCA), in Minneapolis. She is also a professional sign language interpreter who works at such venues as the Park Square and Guthrie theaters.